Unfortunately by the time the next train appeared in the middle of the afternoon the sun was hidden by hazy cloud. The motive power was the same as we had seen yesterday heading to Fermont. 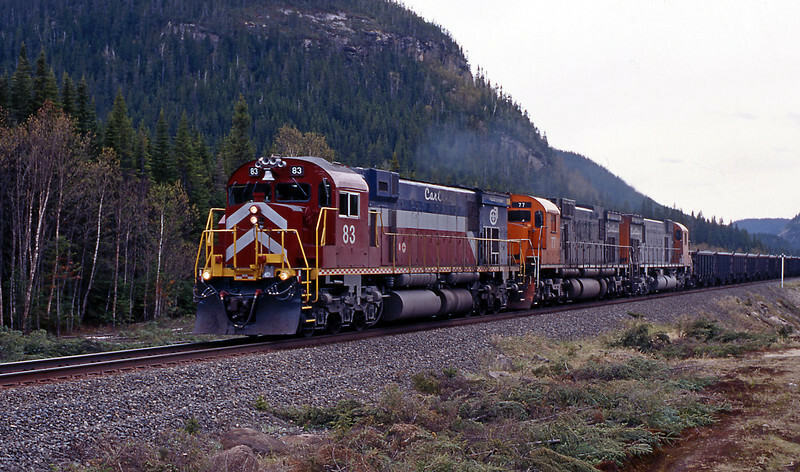 The difference between the Dofasco trucks on the Montreal built examples and the hi adhesion trucks on the Alco demonstrators, such as 77, is evident.